Singer/songwriter types typically warrant a high degree of skepticism being that they're a dime a dozen, largely cliché and mostly supported by a fanbase content to wallow in acoustic woe or romantic mediocrity. In all honesty, few genres put you out there as much as folk music, with no distortion to hide behind, no bass rhythm or percussion to drive your tune, no amplifier to heighten your riffs. And, because of that, it's easy to separate the real deal from the passing fad. And, being that my skeptic mechanism trips so easily when reading words like "folk," "acoustic," or "singer/songwriter," James Jackson Toth (a.k.a Wooden Wand), was obviously at risk of catching some ire. 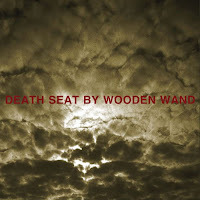 Toth's latest album, Death Seat, arrived at my doorstep and was reluctantly uploaded to my list of things to consider. First off, Toth HAS something and I don't know what it is, (speaking of clichés). 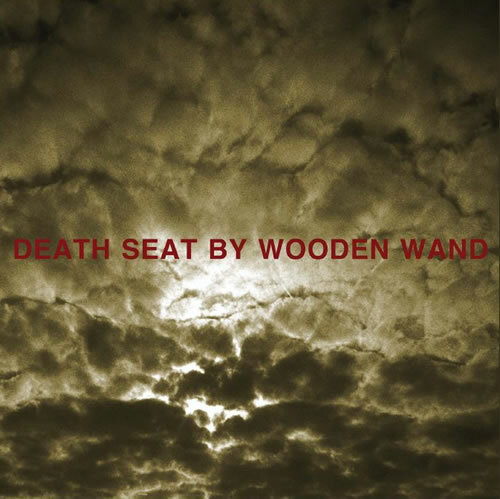 For a few months now, I've listened and absorbed Death Seat, which is an intense and mostly beautiful work that's world-weary and dark, Toth's poetic sensibility honest, approachable and captivating. No Wave pioneer, Michael Gira, lent his ear to the project, an artist of shadowy disposition whose qualifications make perfect sense in terms of Toth's vision. "Servant To Blues" will stay in your head for days, the slow pick of strings and hum of moog synth heightening the song's tension. And then electric guitar strings howl and squeal. It's the song that sold me on Wooden Wand, though the preceding "Sleepwalking After Midnight" and "The Mountain" brought enough bar crawl and secondhand smoke to properly introduce the album. Otherwise, Toth has insecurities ("Until Wrong Looks Right"), aspirations ("I Wanna Make A Difference") and an occasional weakness for kitsch ("Hotel Bar" — Casio beat? ), but Death Seat maintains a credible tone. Most songwriters of Toth's ilk can't write songs like this without sounding contrived or banal, which makes Death Seat a rare occurrence in an otherwise overcrowded and dull genre.